You have made a large investment in your system so let Hygeia Cleaning Service look after it by having the panels cleaned at least once a year. The lower the tilt of the panels the more regular the cleaning should be. Pollution, traffic dust, leaves and even bird droppings contribute to preventing sunlight from reaching the solar cells in your solar panels. The more dirt – the lower amount of electricity they will produce. 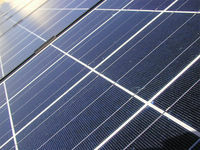 While many factors affect how much electricity your solar panels will produce – dirty solar panels can be one of the biggest, and easiest to fix.